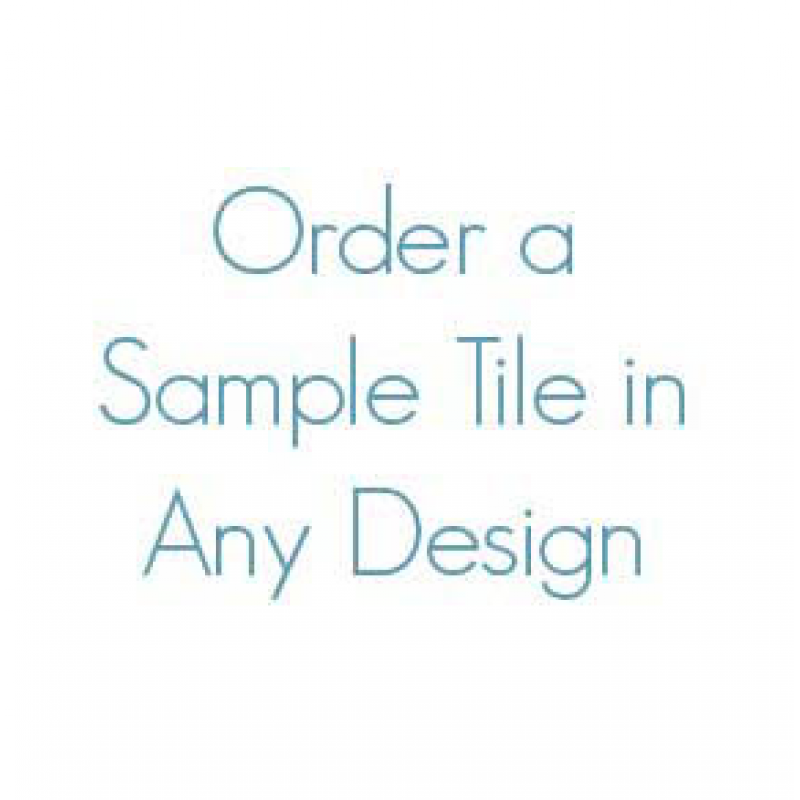 Order a sample tile in any design! If you need a sample for a client presentation or to make sure the colors in the design are a good match, please order a sample tile. All tiles can be returned for a refund or credit (less $10 shipping & handling). Most tiles are 4-1/4" square and include priority mail US shipping. Tiles can be ordered in any of our designs on a white, biscuit, bone or black tile. These products are exceptional and push your bathroom to a new level. The product is perfectly manufactured - no flaws. I love the look. Makes me feel like a movie star.